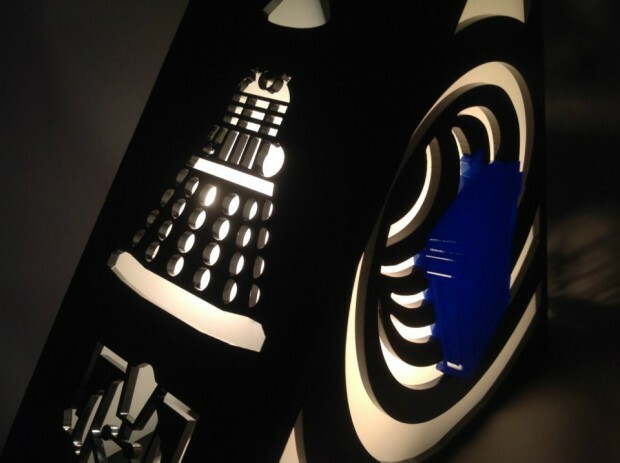 This Doctor Who lamp from Plasmatorium has it all and can be used like the Bat-signal to call the Doctor in times of crisis. 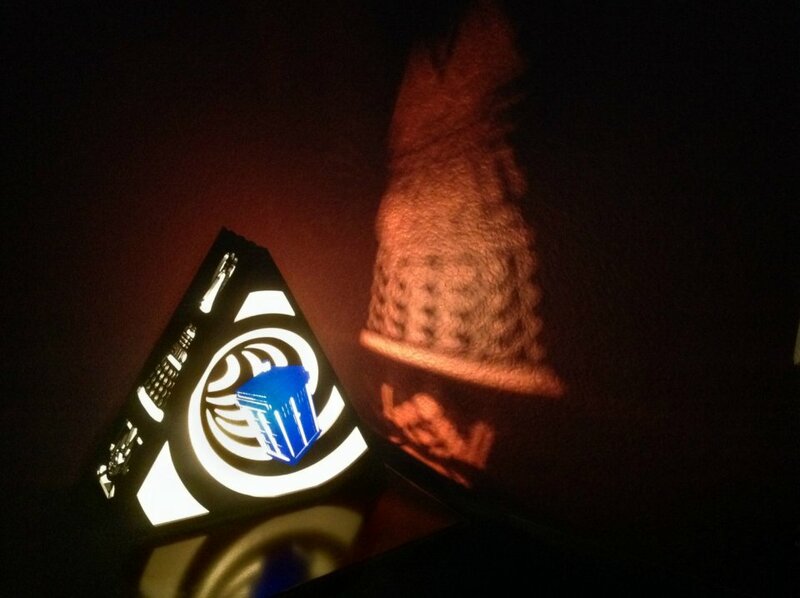 This triangular lamp shows the TARDIS going through the wormhole on the front and back, but that’s not all. It also come packed with some of the Doctor’s villains. There’s a Weeping Angel, a Cyberman and a Dalek are on the sides of the lamp. When turned on, their images are projected onto your walls. 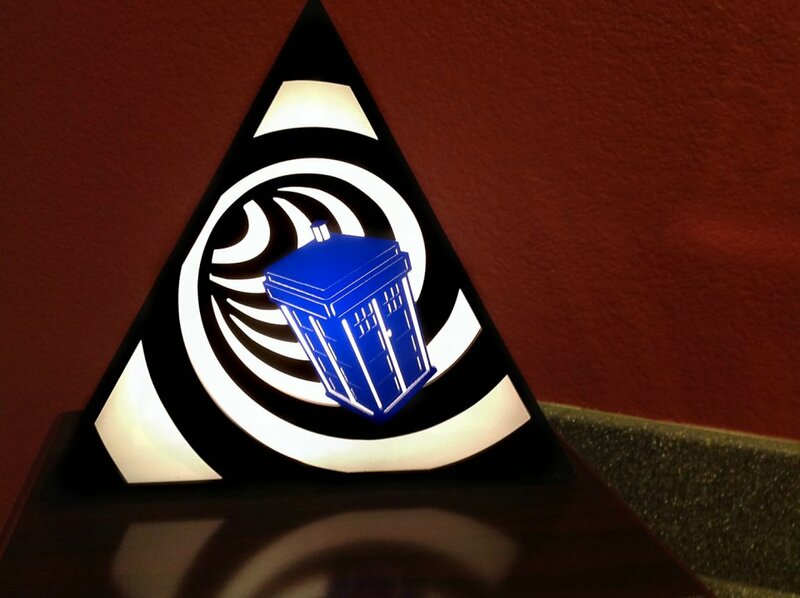 The lamp is made from acrylic and measures 9″ on each side. This will be the coolest Doctor Who item in your home for sure and it will make night time an adventure.